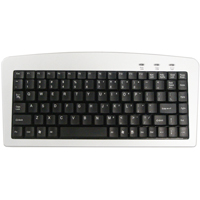 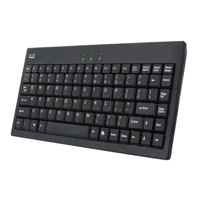 The Wireless Slim Touch Mini from Adesso is a wireless keyboard ideal for conference rooms, multimedia PCs, or just about anywhere a mobile keyboard is needed. 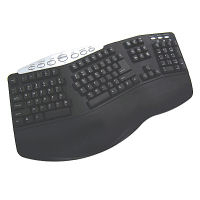 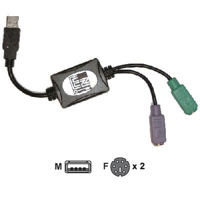 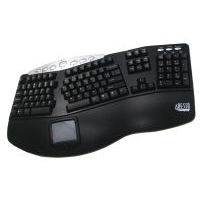 The design of the keyboard is similar to a laptop's, emphasizing its portability; the USB mini receiver plugs directly into a notebook or other computer, allowing for a connectivity range of up to 20' at 2.4 GHz. 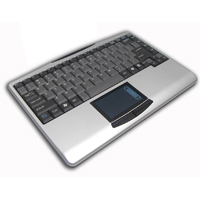 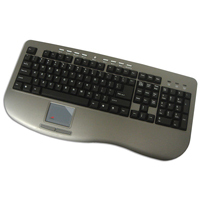 The keyboard has an integrated touchpad (with two buttons) just below the space bar, and includes 4 AAA batteries. 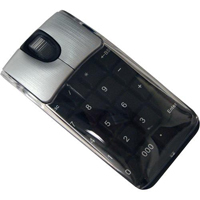 Note: The warranty on this product is handled exclusively by the manufacturer in California, we are not involved in the warranty process.